We built a new Margay with a price tag and construction technique no one other competitor can touch. 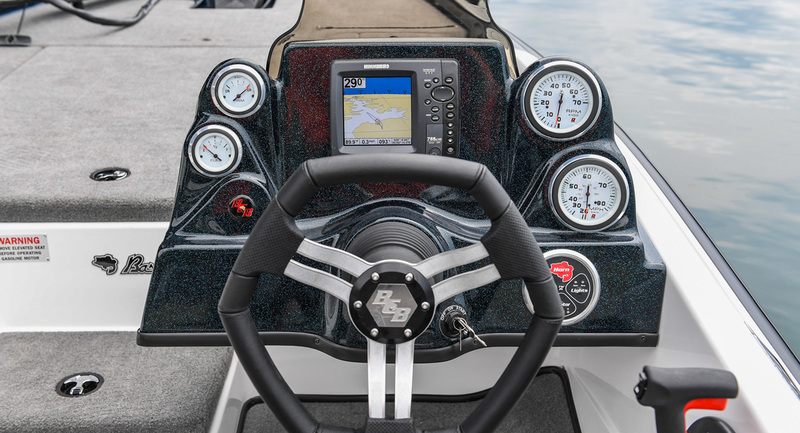 The innovative design features a huge center rod locker. 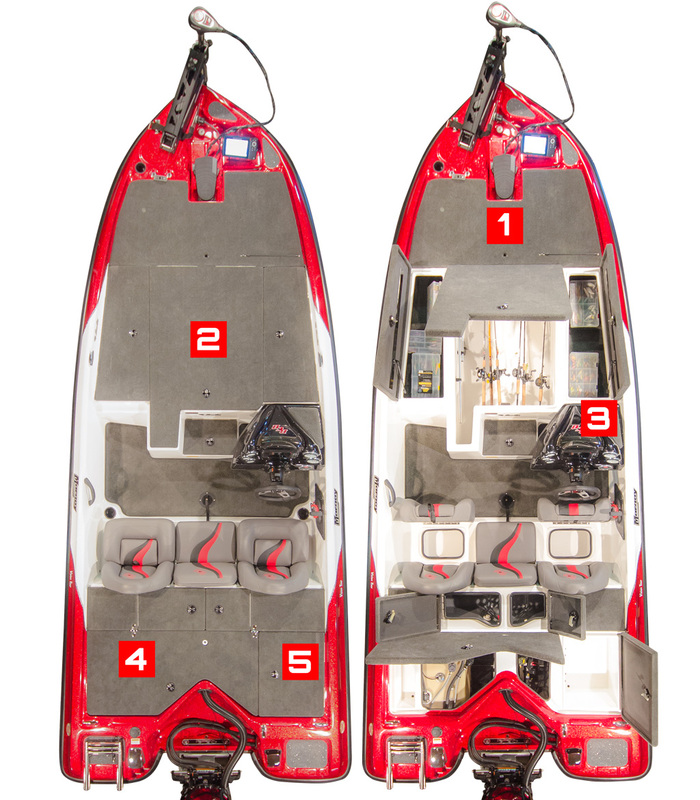 Ten rods can rest above a tackle storage area, and outwards are two smaller storages for your choice of other items. The rear deck is large. 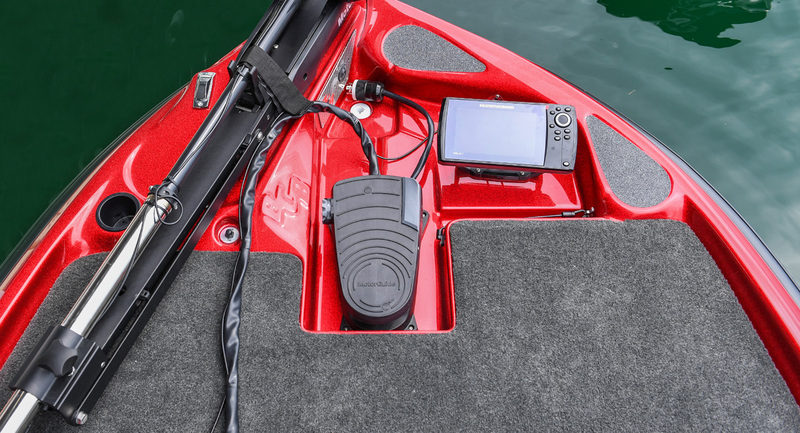 It offers a storage for your partner, as well as a tool tray for you to stow gear. Couple this with the large under-seat storages (2), and you will not be short for space. An all-fiberglass hull, and new construction techniques to minimize shock. It gives a soft ride in a big bodied boat. 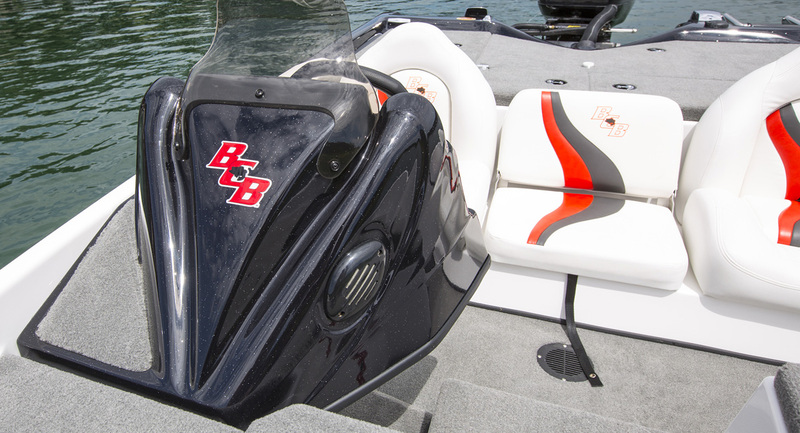 The hull has some neat tweaks to allow engines from 70 hp to the top end 150 four strokes. Just take your pick and price them accordingly to fit your budget. The dash will hold all the way up to the massive HDS 9 or 998 units, and has the options of switches or touch pad. This is standard on the Vision Tour group. This model comes with dual cable steering, or you can bump up to hydraulic. It comes standard with a 3” frame and pivot tongue with the option to move on up to a tandem if you prefer. The Margay will handle any task with ease and give you the safety, ride and function at a price others work hard to beat. Proudly Serving: Livermore, Pleasanton, Dublin, San Ramon, Fremont, Manteca, Discovery Bay, Antioch, Pittsburg, Concord, Walnut Creek, Oakland, Sunol, Hayward, Stockton, San Leandro, San Jose, Oakley, San Mateo, Danville, Santa Cruz, San Francisco, San Leandro, and Neighboring California cities from Our Shop Located at 5162 Preston Avenue Livermore, CA 94551. All prices are in USD. Copyright © 2019 — Boatmasters • All rights reserved. • Design by iValley Technology Partners, Inc.